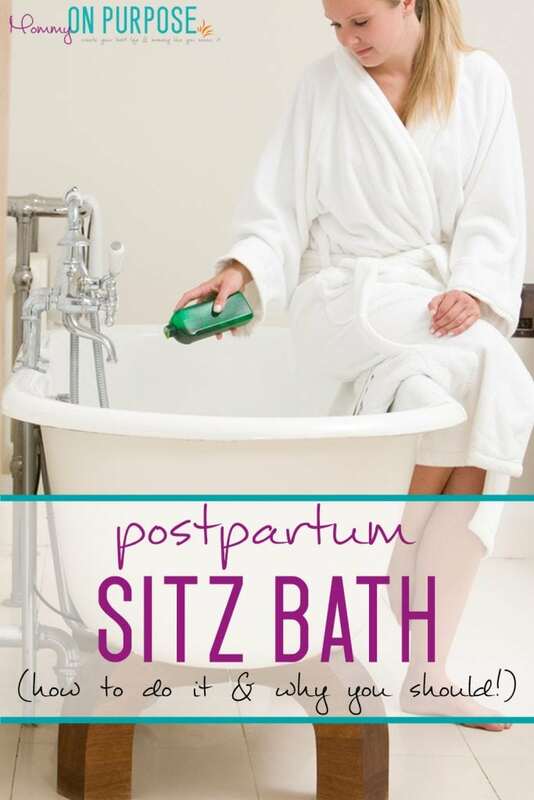 Congratulations on your baby – girl, you need a postpartum sitz bath! Maybe this seems like such an odd little corner of postpartum recovery to write an entire post on, but it was one of the things I googled the most in the first week after I got home. And I was pretty disappointed with the information available online. I was just so uncomfortable, and learning how to do a sitz bath changed that! ♥ To clean up. It’s not pretty down there, and even though you can’t use soap yet, just being submerged in the water will make a big difference. ♥ To relieve pain. You might not believe it until you’ve tried it… but there is something seriously soothing about sitting in hot water. (Some people say cold water is even better for pain relief. Not my experience, but every one is different.) The sitz bath helps with inflammation and itching. ♥ To speed up healing. Yes, it can actually do this! It boosts blood flow to the area, aiding in recovery time (according to this article at WebMD.com). ♥ To dissolve stitches. You’d think you want the stitches in there, but you’d be wrong. I never really realized JUST how uncomfortable stitches in your lady bits might be. A sitz bath won’t dissolve them TOO fast, but it can help them not to hang around longer than necessary. ♥ To take 20 minutes twice per day to yourself. Or maybe three times. I am not, and never have been, a “need to get away” kind of girl. But there is really a-lot going on those first few weeks, and just sitting quietly doing something nice for yourself is actually awesome. You can buy one of these on-top-the-toilet sitz baths, but I like simple, so I just sat in three inches of water in my bath tub. ♥ FIRST, clean your bath tub. (Or have someone clean your bath tub for you.) If you use diluted bleach just rinse it VERY well. ♥ Wear a t-shirt to keep your upper body warm. You want to soak for 15 – 20 minutes and that’s actually a long time to just sit there naked. ♥ Use just enough water to submerge your lady bits. (Remember… you don’t want water going up.) Either warm OR cold, but I found warm was nicer. ♥ Epsom salts and lavender essential oil. There are heaps of suggestions out there for things that you should be adding to your sitz bath, but I like to error on the side of caution when we are talking about open wounds. I also didn’t want little bits of leaf floating around and sticking to me… perhaps if you decide to use herbs put them in clean pantyhose or tie them up in cheese cloth. Midwives Collective of Toronto claims Epsom salts will reduce swelling, discourage infection and encourage healing. They are also helpful for hemorrhoids. I bought it in bulk like this, to make it affordable. I chose to use lavender essential oil as well, after all my googling. The Green Parent, in their article Healing the perineum after birth, mentions that lavender oil is “antibacterial, anti-fungal and anti-inflammatory”, and aids in relaxation, sleep and skin regeneration. I would not use just any essential oil, only one that you trust to be pure essential oil. I used this one, and it was amazing. ♥ Use dollar store towels to PAT dry. Purchasing a few dollar store towels pre-delivery is a good idea. ♥ Repeat 2 – 3 times per day. 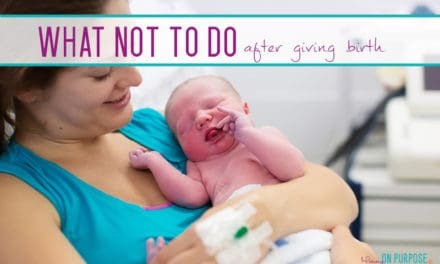 Anything else you can do besides a sitz bath after birth to speed recovery postpartum? 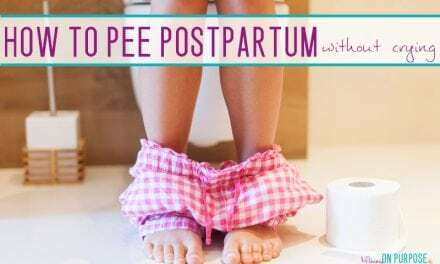 Ummmm YES – there are MANY things you can do besides taking a postpartum bath to speed up postpartum recovery and get more comfortable. Here’s a list of TWELVE things you can do for faster healing after vaginal birth! 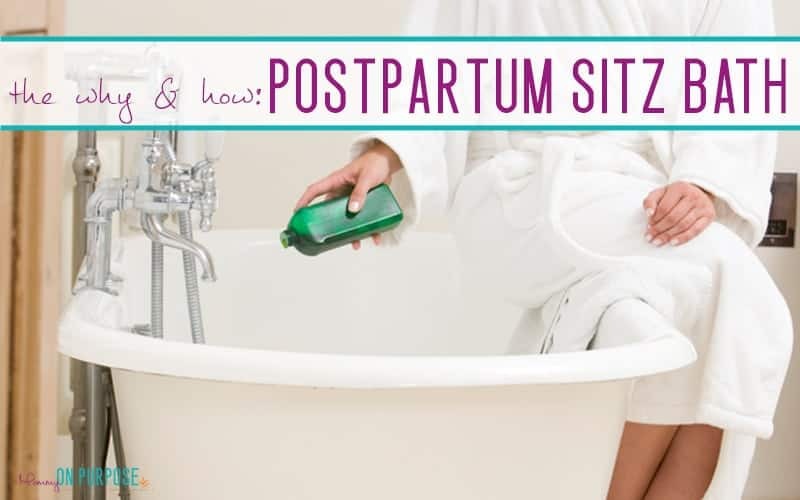 Did you take postpartum sitz baths? Why or why not? P.S. – speaking of baths, you’re not the only one bathing these days… so use the coupon code mommyonpurpose50, and grab yourself one of these adorable hooded bath towels for your new babe FOR FREE. What measurements of each do you use? I’m thinking of make bath bombs out of it so they’re ready to go. LOVE the idea of sitz baths! I had never even heard of them until recently. Why hadn’t anyone told me about them BEFORE I gave birth? Oh well. Next time! Thanks for the info, Carly!!! haha definitely next time… they are the BEST! What cream did you use? I clicked on the purple letters, but it didn’t take me to the product just to the amazon website…. Okay Mama, this is so good! 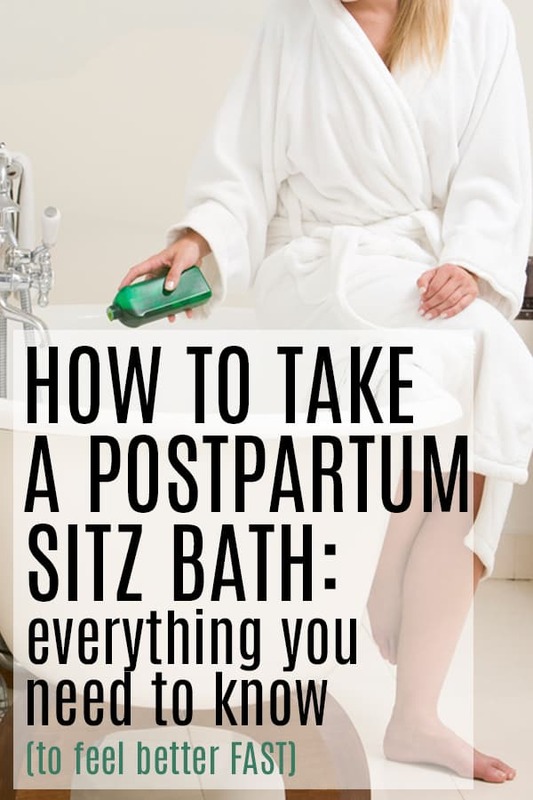 I agreee, there’s not much good info out there about sitz baths. Looking back now, I wish I would have taken more time to take the baths because I think it would have helped the healing process so much more! So, this may sound gross… but since you’re bleeding so much, does it look like a war scene in the tub? Or do you wait until the bleeding stops to take sitz baths? Sitz bath work well for me. I usually use witch hazel to soak in.